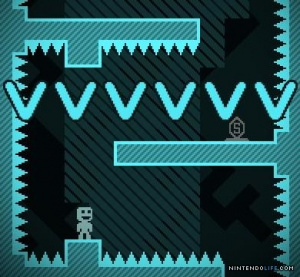 Nintendo 3DS's eShop has seen quite a lot of action from independent developers since its launch, with the likes of VVVVVV, Bomb Monkey and Zen Pinball 3D gracing the service so far, to name just a few. It's a trend that Nintendo is keen to continue. Speaking to VG247, Nintendo UK marketing manager Ben Taylor confirmed that the company would love to see more indies taking advantage of 3DS. VG247: Nintendo has increased its support of digital downloads considerably in recent years. How important is it to maintain a strong digital store front on 3DS, and would you like to see more indie developers taking part? Ben Taylor: This is definitely important to us. The 3DS provides a great platform for indie developers and we’d love to see more. In the same interview Taylor also reconfirmed the reasoning behind the omission of a second Circle Pad on 3DS XL, agreeing with Satoru Iwata that screen size and battery life took precedence. He also reaffirmed that a Circle Pad Pro XL is in development. VG247: There is, however, no second thumbstick. Many are calling this an oversight on Nintendo’s part. Is it something you might consider in future revisions? Ben Taylor: We did review the possibility of the second controller, but we felt that increased battery life was really important to players, and this would have been affected if we had introduced one. It would also have made the console a lot bigger and bulkier. Importantly, the majority of games, for instance the likes of Mario Kart 7 or Super Mario 3D land, don’t benefit from the second controller. A second circle pad peripheral is in development for the 3DS XL which can be used for titles such as Resident Evil Revelations. Head over to VG247 for the rest of the interview, which also deals with Nintendo's approach to 3DS at E3 and core titles on the handheld. Which indie developers would you like to see more of on 3DS? The 3DS has a lot of upside and is increasing momentum and it has only been out a little over a year. I definitely would love to see more indie developers on the eShop. I would really love it if we got games like Super Meat Boy (probably not happening any time soon), this really awesome shmup on XBLIndie market that I forgot the name of, and The Dark (deep? I forget) Cave just for it's soundtrack. I just want Cave story plus and Nightsky. Where are they? Dungeons of Dredmor on the 3DS would make my day. There is a reason they said "Cave Story PLUS". You should focus in on the plus there. You know, the version that nicalis said is coming? Yes, you should totally complain to nintendo because nicalis (of all companies) can't keep to anything remotely resembling a good working schedule for titles on the nintendo eShops/Wiiware. It's a shame that they claim indie devs are important but still said no in the end to the Binding of Isaac. The original Super Meat Boy definitely won't happen, Edmund and Tommy made it absolutely clear they don't want to do any mroe work with the original game. @Linkstrikesback It's fine and fun to joke about Nicalis' slowness in releasing the majority of their games, as well as the infinite versions of Cave Story they're pumping out, but I don't understand why people get so angry at them about it. Not singling you out here at all, especially since you're not being as hard on them as some people have been. It's just that they don't really owe you a game at a certain time, even if they "promise" it. It's not like they're trying to miss release dates, and sometimes (as with La-Mulana, apparently) the situation isn't in their hands. Especially when they've already given us so many amazing titles on Nintendo services with many more coming in the near future (CS+ and NightSky are supposed summer releases, and summer isn't over yet), I see no reason to do anything but thank them for their dedication to Nintendo downloads. Um, it's pretty obvious to anyone that La Mulana was Nicalis' fault, since everything they said contradicted everything said by the developers. Cool read. And even though I don't really care (additionally because it's not happening anyway), I don't understand the logic that adding a secondary circle pad would introduce a considerable hit on battery life. But I'm not a hardware designer, either. Also, Blinding of Issac Was denied for good reasons... I am a little offended at some strong parts of the game, but that's it. I'd like Devil world on wii VC better.